The BNL BNP Paribas Group’s partnership with Telethon is one of the major fund-raising projects in Europe: for over 20 years the bank has worked alongside the Telethon Foundation, the non-profit organisation raising funds to support scientific research into genetic diseases, sharing values and a mission. 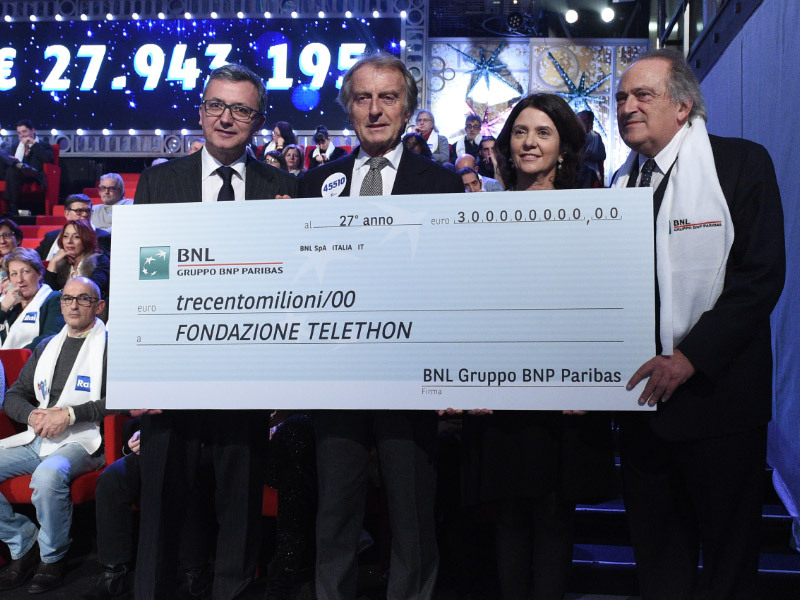 The results: the profitable collaboration between BNL and Telethon since 1992 has raised over than EUR 300 million. This result has raised thanks to the contribution of 20,000 BNP Paribas employees in Italy. Everyone was involved as a volunteer in organising over 1,000 events the length and breadth of Italy. Thanks to the funds raised in recent years, Telethon has been able to fund 1611 researchers for more than 2,600 research projects covering 571 genetic diseases. BNL organises fund-raising events and all its channels are available for anyone wanting to donate all over the year (branches, ATMs, freephone and website).